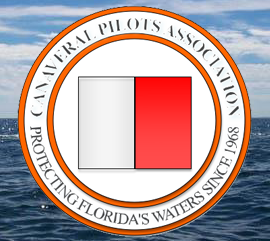 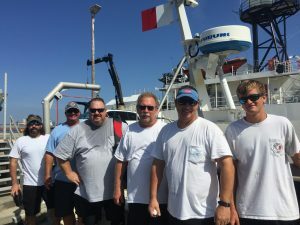 The Canaveral Pilots Association Pilot Boat Captains recently held Man Overboard & Safety Training exercises. 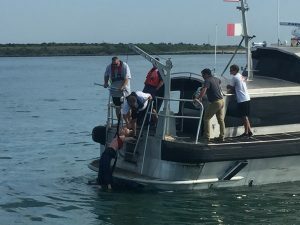 The training provided the opportunity to practice and evaluate procedures for rescuing someone from the water in scenarios where the victim may be conscious as well as those where a victim is unconscious. 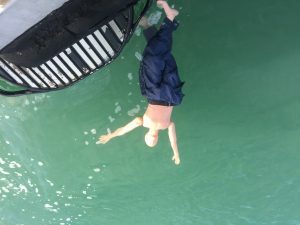 The Pilot Boat Captains took turns completing drills, operating the rescue davits and using the rescue platforms at the stern of the Pilot Boats to rescue “Oscar”, a Man Overboard dummy on loan form the USCG. 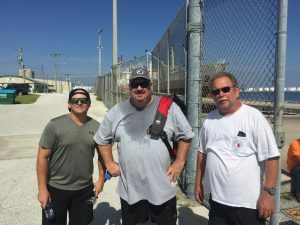 Officers from the USCG Marine Safety Detachment, Port Canaveral, attended the training and offered feedback and suggestions to the participants. 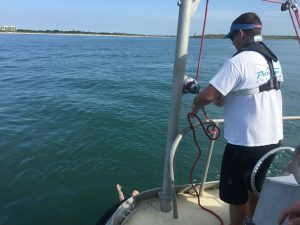 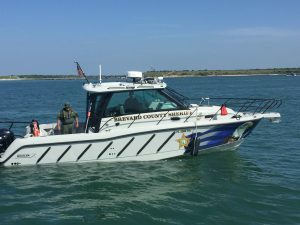 The Brevard County Sheriff’s Office Marine Unit also participated and conducted a Man Overboard drill which highlighted the effectiveness of their vessel for rescuing victims from the water. 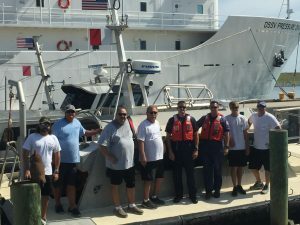 A safety meeting followed the exercises which included discussion on ways to improve operational safety. 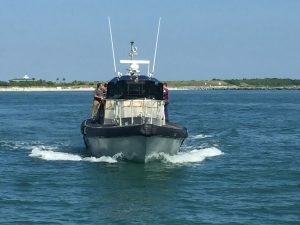 The transfer of Pilots to and from transiting vessels is by far the most dangerous part of the job for both Pilots and Pilot Boat Captains.